Eagles and owls and bears, oh my! 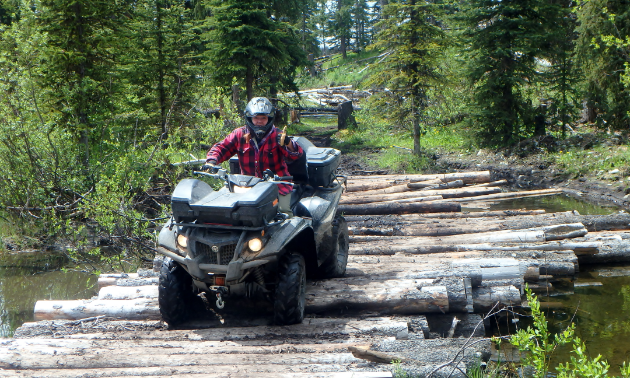 Come play in this ATV playground in Logan Lake, B.C. Minnesota may be known as the land of 10,000 lakes, but the Logan Lake area has a plethora of lakes to coincide with the abundance of mountains, foliage and wildlife—as well as a skyscraper-esque view that’s so vast it’s practically astronomical. One of Logan Lake’s most trekked trails is a 105-kilometre round trip to Green Stone Mountain. 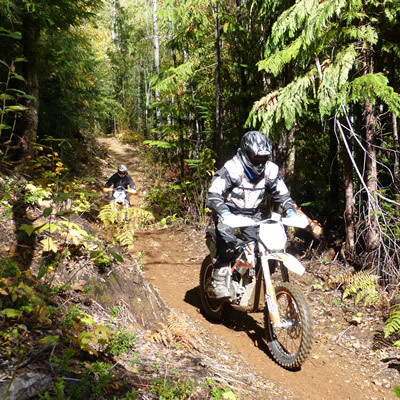 The trail covers a variety of terrain and involves different levels of riding from easy to difficult. This ride is particularly enjoyable because of the view when you reach the top of the mountain. While looking out unto your domain, take note of the various species of creatures that roam the picturesque scenery. Amidst the meadows, forests, swamps and lakes, you’ll find frogs, rabbits, cows, bears, deer, moose and a sky-full of winged animals. Because Logan Lake is a bountiful bird habitat, the area sees a healthy population of a bald eagles, owls and osprey. Back in the day, Green Stone Mountain had a forest fire lookout. Keen onlookers will be able to spot the old building as it is still there. There are several ways to access the Logan Lake to Green Stone Mountain loop, but the most accessible is from Leighton Lake ORV staging lot. 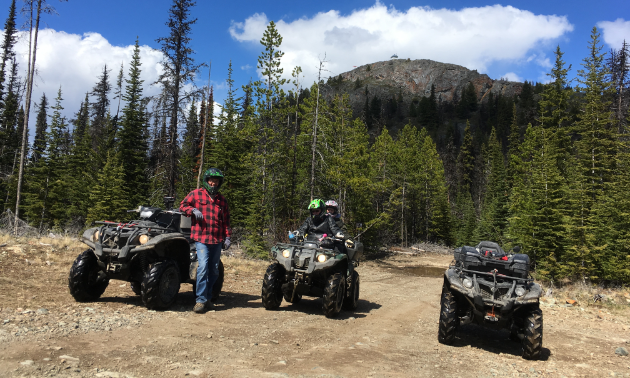 Once you’ve completed the loop, there are numerous trails to ride near Logan Lake, such as Pennie Lake, Bose Lake, Rabbit Run, Tunkwa Lake, Forge Mountain and the RIM Trail. As much as D’Silva enjoys exploring new trails and meeting folks with the same passion for riding and nature as she does, her greatest joy comes from riding with two youngsters.